Traditionally, mobile printers are almost just the same as in times of the first mobile printers. Producers turned their attention to increasing print speeds and resolution and diminishing gadgets’ size. 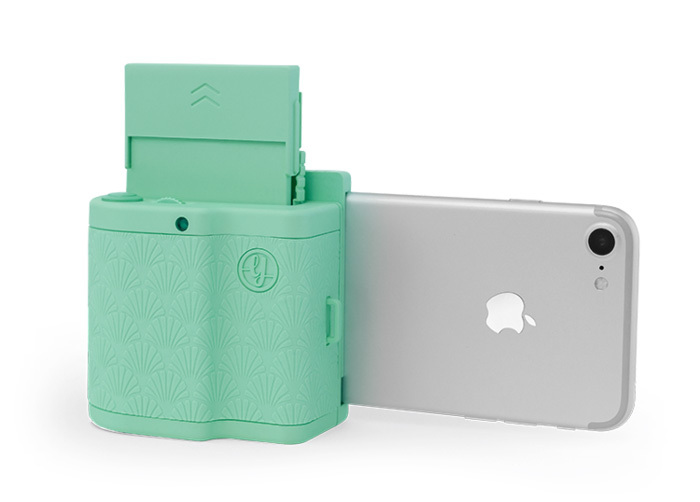 Than, the new way of seamless connection between the camera and the gadget was being added and a special paper type allowing to print without ink. We thought that it was all that we can imagine, but it was so before the Prynt appeared. Prynt is a Kickstarter project which provides printing moving images. In vain, the images do not move exactly like in the novels about Harry Potter, but still they have something in common. The thing is that when a user prints a photo via the Prynt new mobile gadget—Prynt Pocket, he/she can add a short video to it which will be viewed via the company’s special app—Prynt app. A video clip is uploaded automatically to the cloud and when anybody via the app is scanning the photo one has printed the associated video is overlaid on top using the company’s AR (Augmented Reality) play. The Prynt Pocket is twice smaller than the old version, provides faster printing and with a sliding dock mechanism supports smartphones of all sizes. It prints on the special paper with no need of ink, and a photo itself can become a sticker. A great advantage of the Prynt is a trouble-free connection between their app and hardware what is usually an issue in other startups. The gadget is available on the company’s website and retails for $149.99. This entry was posted on Wednesday, May 10th, 2017 at 8:51 pm	and is filed under images, innovation, mobile, photo, portable. "New Ricoh Fabric Printers Print on Ready-made Clothes"